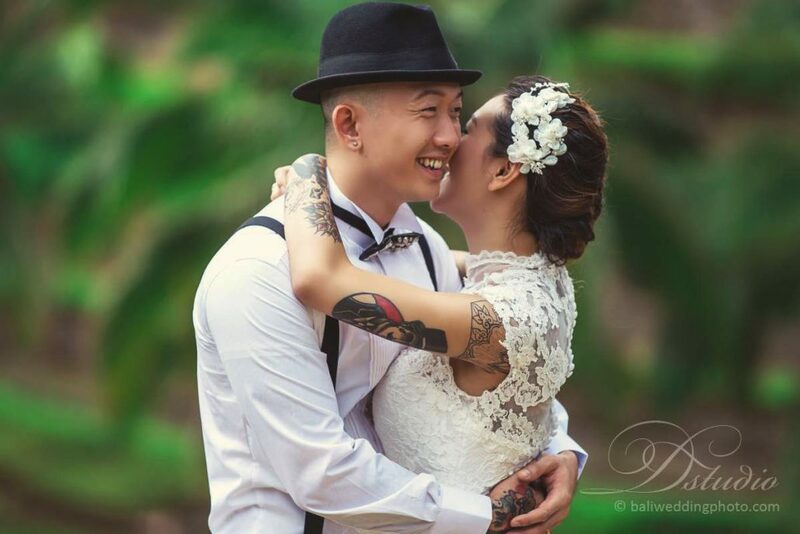 A bit cloudy day this morning in Denpasar, i have a full day Bali pre wedding photoshoot appointment with lovely couple Isaac and Iki, they both are tattoo artists. We start the day with makeup and hairdo for the bride to be. Soon after finish we leave from the hotel to go to our first pre wedding photo location, Tegallalang Rice Terraces. It took about 1 hour plus to get there from Seminyak, luckily the traffic is not bad today. 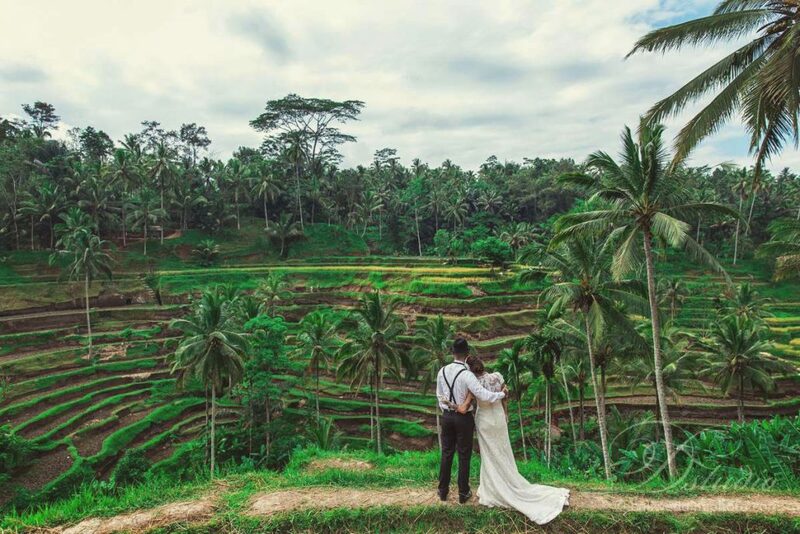 Arrive at Tegallalang rice terraces, the local shops are not opened yet and the tourists are not arrive yet, so we can do the engagement photo shoot more comfortable without many people in the background. 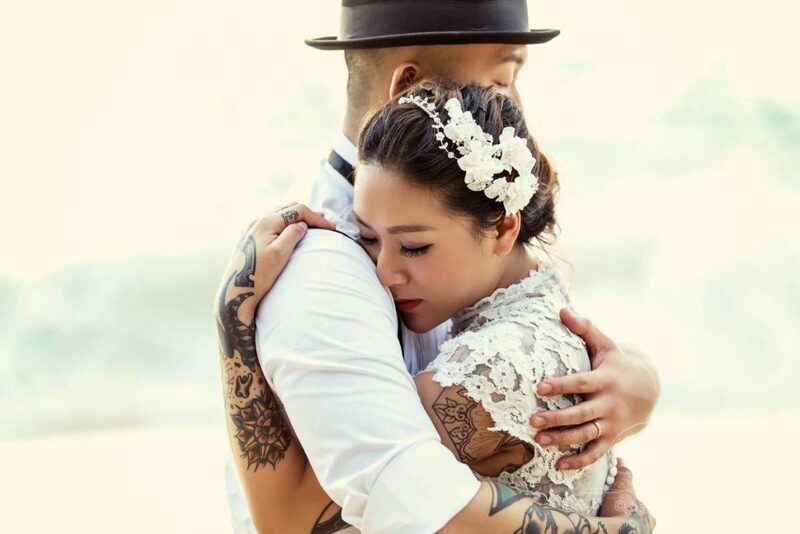 We start taking photo and the pre wedding couple seems relax during the photo shoot while also enjoying the beautiful view of the photo shoot location. Their natural expression makes the photos look natural and beautiful. We spend 45 minutes at the rice terraces and leave for the next stop, a restaurant for lunch. At the lunch place, people keep looking at this beautiful bride to be. Why, because she is still wearing the wedding dress. She is aware of that and she keeps laughing because this is a new experience and it is fun, she said. Finish with the lunch, we travel to our next photo shoot destination, called Bali Museum. 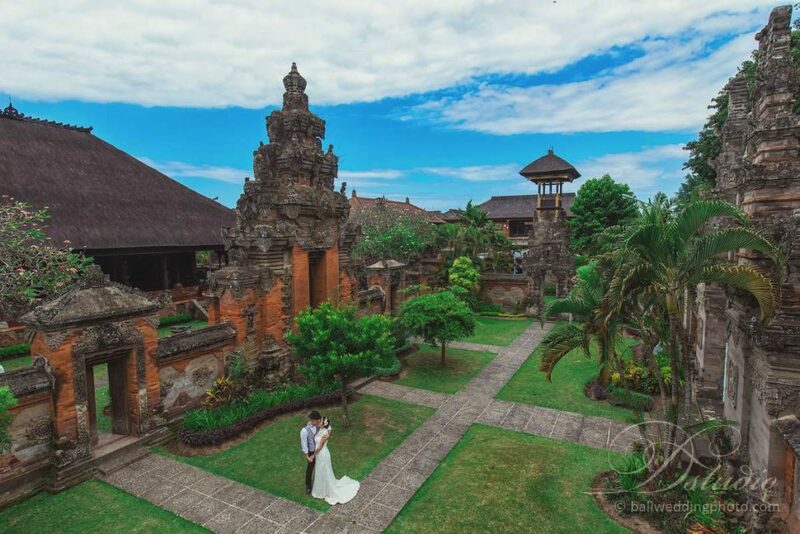 This photo shooting location is showing the classic Balinese Architecture that looks good in the Bali engagement photos. The doors, the carvings on the concrete, the bricks, everything looks classic and vintage. Luckily there are not many visitors today, usually we can see some engagement couples also doing photo shoot in this place because this place is quite popular, but today we don’t see any. We spend 1 hour in Bali Museum then we travel to our last location, Tegal Wangi beach or also i usually call Sunset Beach. Arrive there at around 5 PM the sun is still high, so we take some daylight photos at the cliff side before go to the beach. 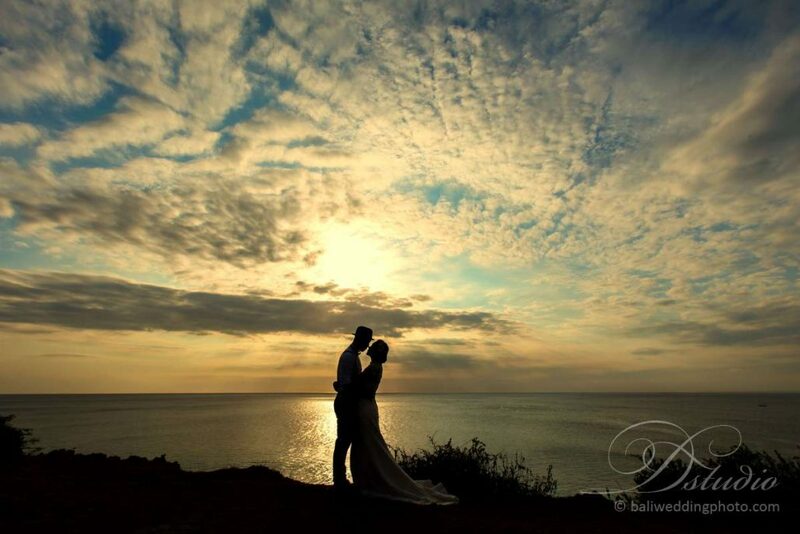 Taking photo while enjoying the view, this is what i like from being a Bali pre wedding photographer. 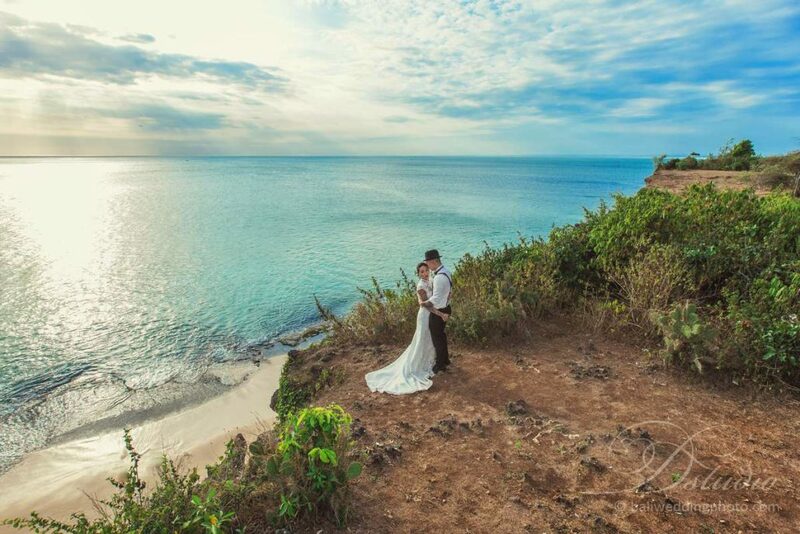 And the couple also have fun during photo session because they can also enjoy this beautiful view. 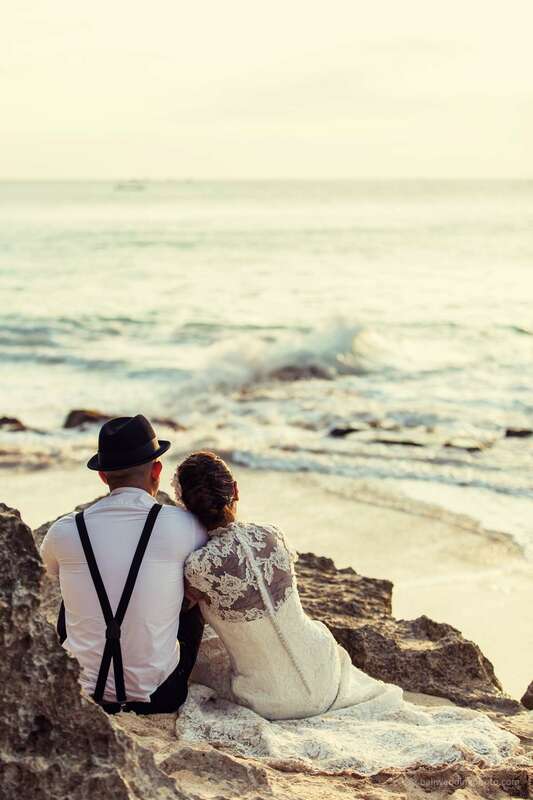 At the beach, the couple looks elegant with their wedding outfit. 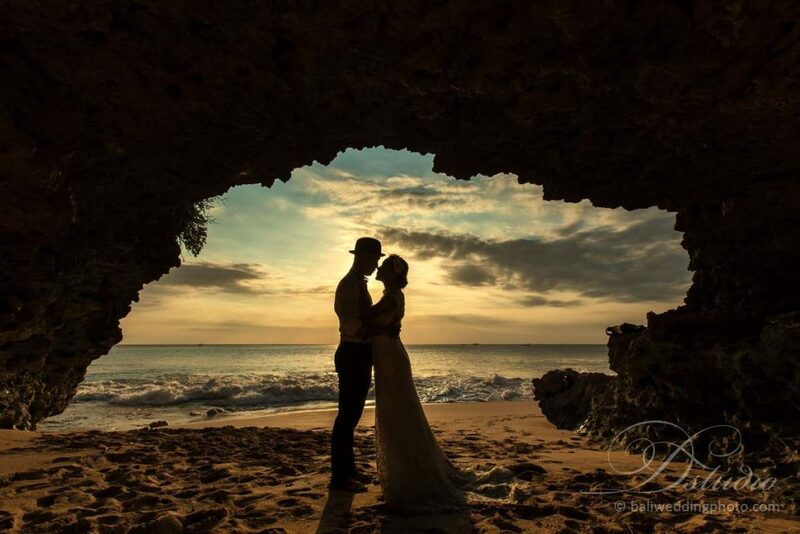 We take some pictures on the coral, in the secret cave, sitting on the beach while enjoing the view. The weather is changing from cloudy this morning becoming clear this afternoon, so we can get nice sunset photos. We spend good time at the beach from daylight till sunset. 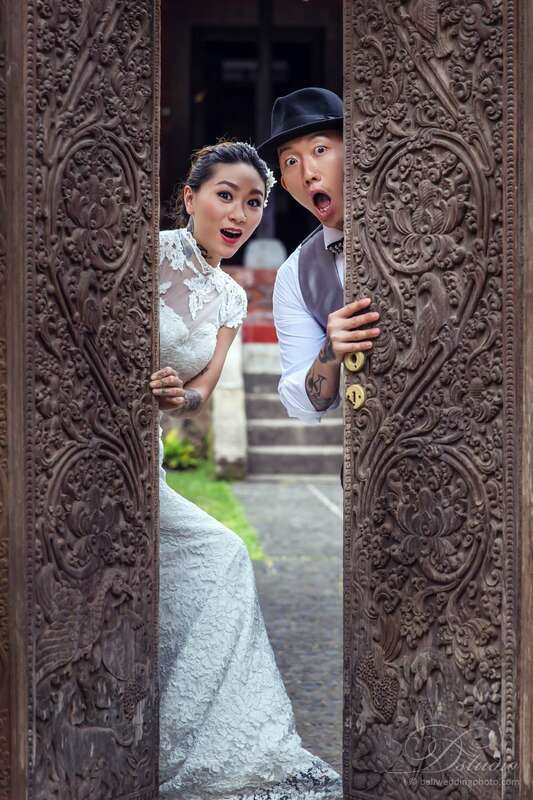 It is time to finish the full day pre wedding photoshoot in Bali. 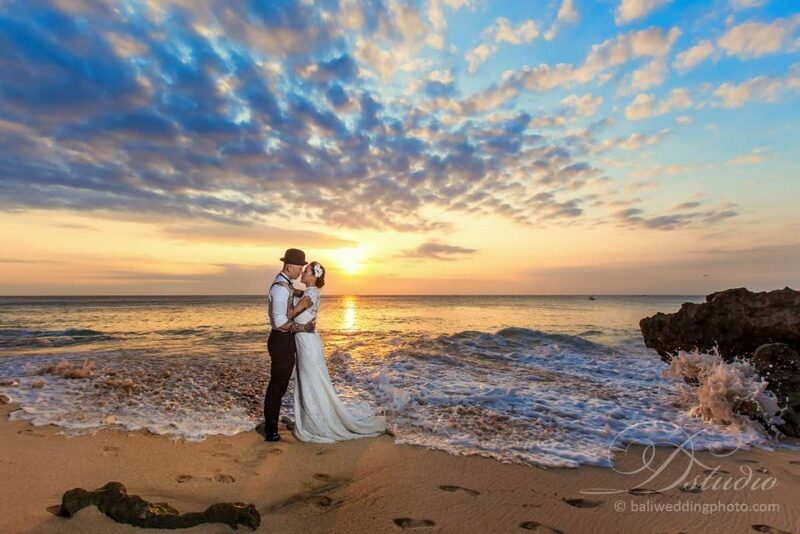 Do you want to do full day Bali pre wedding photoshoot? 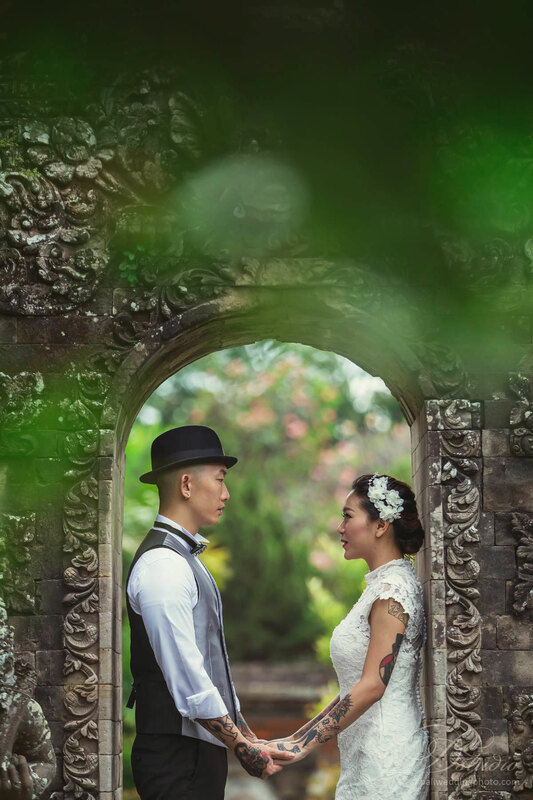 Drop us a message, we’ll get back to you with some info about Bali pre wedding photography.